In Restless Wonder: Healthy Muesli, Soy Yoghurt, Nuts and Berries: RECIPE. Healthy Muesli, Soy Yoghurt, Nuts and Berries: RECIPE. I confess; I’m a breakfast junkie. Breaking the fast is, in my opinion, the best meal of the day. And I love making sure it’s healthy and nutritious to help kick start my day. I like making sure I avoid that mid-morning ‘slump’ that cereals loaded with sugar give and came up with a mix that’s sugar, dairy, gluten and wheat free – with no taste compromised and packed full of benefits. Nairn’s Gluten/Wheat/Dairy free muesli (pictured) Oats, currants and a dash of vegetable oil makes this the healthiest ‘off the shop floor’ cereal I’ve bought. 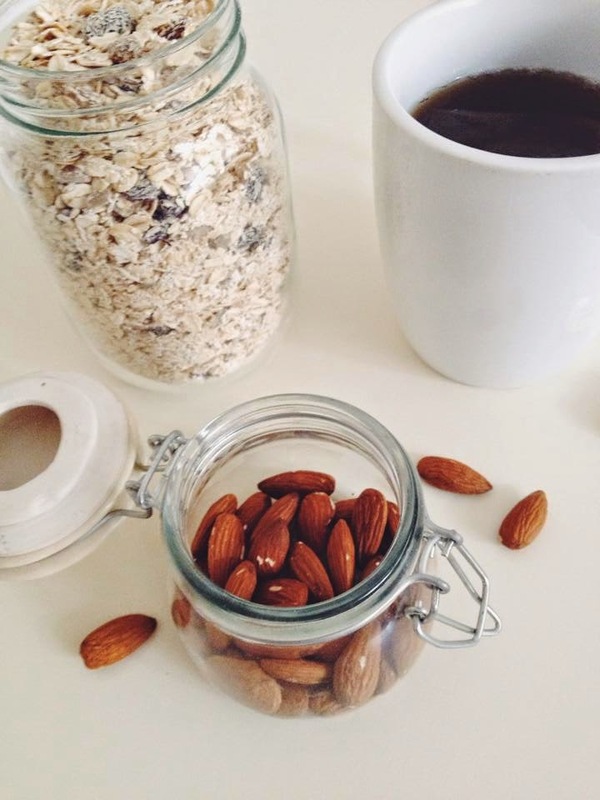 Almonds (pictured) Packed with protein and adds crunch. You can replace these with other nuts or seeds for added benefits. Joya soy plain soy yoghurt. Sugar free soy yoghurt that’s lighter than actual milk yoghurt – or just great if you’re intolerant like myself! Mixed berries. A naturally sweet addition and packed with antioxidants and minerals. Blueberries/strawberries are my usual favourite. You can add sweetener, granulated or of the syrup variety to taste if you wish – but I usually have this without. Oh, and with a cup of tea of course!